see the update. T-Mobile and Sprint have said the updates are coming but have not given a timeline yet. 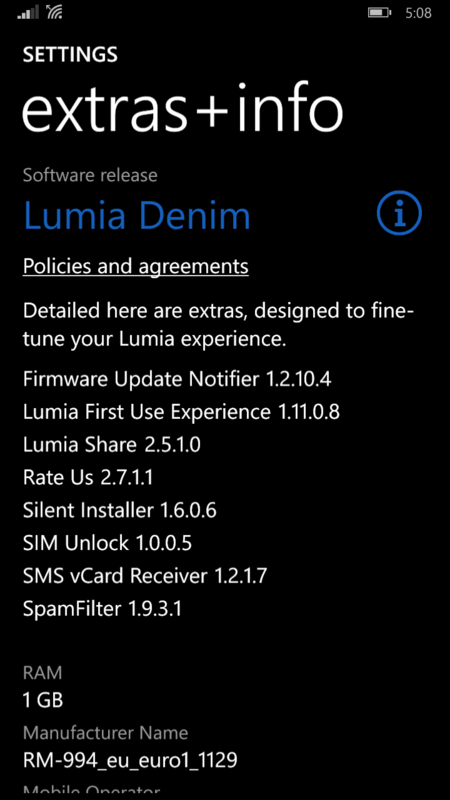 The Lumia 830 on AT&T is already running Lumia Denim. Microsoft has suggested that the carrier dependent rollouts will change under Windows 10 but have not been clearly defined as to how this will change. Ultimately both Microsoft and Google face the same problem when rolling out major updates where the carriers decide when or if that update will go to certain devices on their network. By contrast, Apple controls the rollout of updates to iOS themselves which makes for a smoother user upgrade experience and gets the latest features into their hands quicker. Hopefully Microsoft will do the same under Windows 10. If you have upgraded your O2 network Lumia, leave a comment or tweet me to let me know how the upgrade went and if it is working smoothly for you.